Major investment in new ‘flexible learning’ style classrooms at Ysgol Rhiwabon, by Wrexham County Council, will start to come into use during the coming weeks. Work has been underway on the first of two new rooms for the school, recently, with contractors now ready to hand over the first room for use. The concept of flexible learning spaces will be underpinned by more mobile technology for students. The students will be able to interact with larger screens, each other and the teacher, to generate true interactive learning, in an environment that can also be arranged to meet different learning needs. 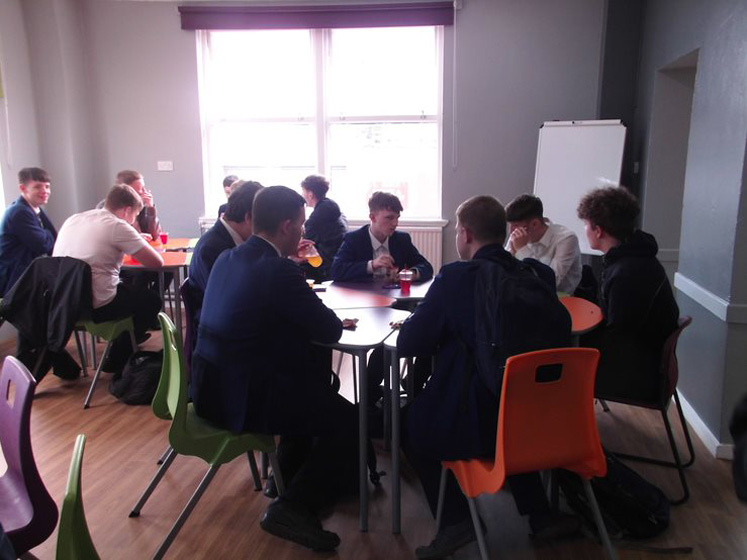 The gallery of pictures shows the first room prior to renovation through to the initial use by Year 11 in a Maths revision session and aims to show the development of the area with students needs in mind. Further pictures and updates will be posted on our website as the furniture and IT equipment is delivered. 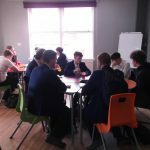 ‘I’m delighted at the transformation of the first room in the school to be truly flexible learning in style. The investment by Wrexham County Council in the school is a testament to the significant improvements that have taken place here over the last few years, and this will serve to continue that progress’.